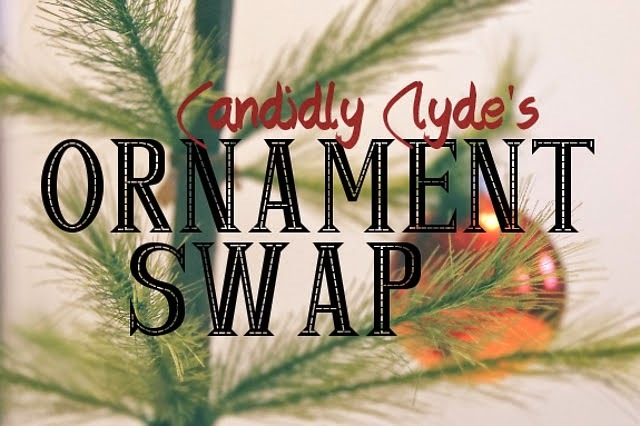 Sweet fancy Moses, it's time for fourth annual ornament swap! The swap is an international event in which two people trade holiday ornaments through the mail. Anyone can join (my mom even participates)! "Swappers" from the United States, Canada, Great Britain, Ireland, Germany, Japan, Taiwan, Trinidad, Spain, Singapore, Australia, New Zealand, Italy, and Romania have all participated, and you will be partnered with someone who shares your shipping preferences (domestic vs. international). As for the ornaments themselves? They can be handmade, store-bought, vintage, crafted, or nontraditional, but they shouldn't cost more than $10-$12. If you are looking for ideas on what to send your partner, check out the 2012, 2013, and 2014 ornament showcases! 2. Include your postal address. 4. The deadline to sign up is Saturday, Nov. 14! Yay!!! So excited to be part of this!! Ioana! I'm so glad you signed up! I'm so happy to have you participating once again!